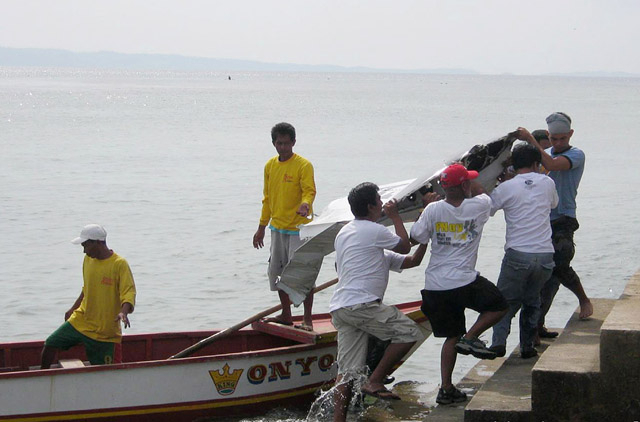 Manila: The body of Philippine Interior Secretary Jesse Robredo was found and retrieved early on Tuesday from the sea off a central province where his small plane had crashed three days earlier, officials said. Robredo's body was pulled out from the overturned fuselage of the twin-engine Piper Seneca, about 55 metres underwater and around 800 metres off Masbate province, Transport Secretary Mar Roxas said. Roxas said the bodies of the plane's Filipino pilot and Nepali student pilot were jammed inside the cockpit and would be retrieved later. Robredo, 54, was heading to his hometown of Naga City on Saturday from central Cebu City, where he had met with local officials, when one of the plane's engines stalled 30 minutes into the flight. The plane crashed as it attempted an emergency landing at the Masbate airport, about 380 kilometres southeast of Manila, Roxas had said earlier. Roxas said the divers would have to retrieve the bodies of the pilot and student pilot later because they needed time for decompression after diving that deep. 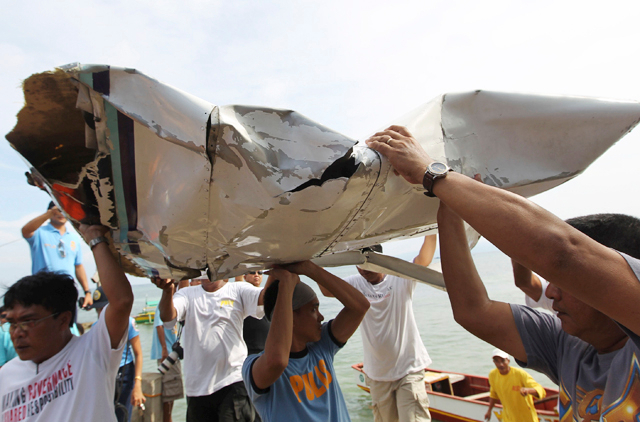 He said the diver was able to retrieve Robredo's body because it was close to the plane's door. President Benigno Aquino III informed Robredo's wife only after "absolute confirmation" of his identity from a personal friend of Robredo who had coordinated the volunteer divers, Roxas said. Aquino later flew to Masbate. Robredo was popular for his reformist views and policies and clean image that were prominent since he entered politics as Naga City's mayor in 1988, deviating from the political patronage and corruption that characterised traditional politicians. He won a Ramon Magsaysay award - regarded as Asia's version of a Nobel Prize - in 2000 for good governance. "Jesse has passed. The nation has lost one of her finest servant-leaders. Join us in mourning and tribute," presidential spokesman Edwin Lacierda wrote on his Twitter account on Tuesday. The Philippines was in mourning on Tuesday after divers recovered the body of Robredo, who was regarded as one of the country's most influential politicians. 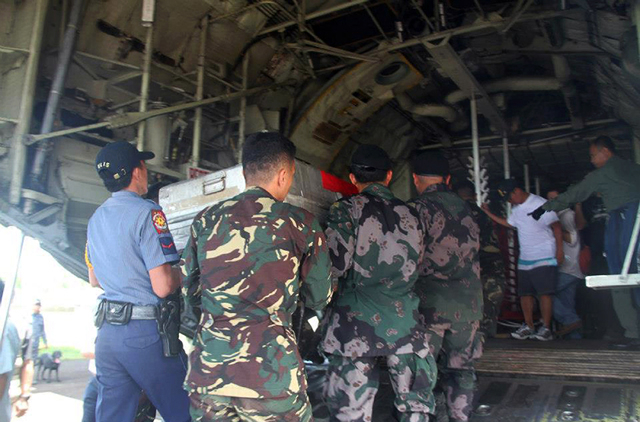 The dramatic search-and-rescue efforts had gripped the Catholic nation of nearly 100 million people, with hundreds joining prayer vigils and longtime friend President Benigno Aquino going to Masbate initially to help. 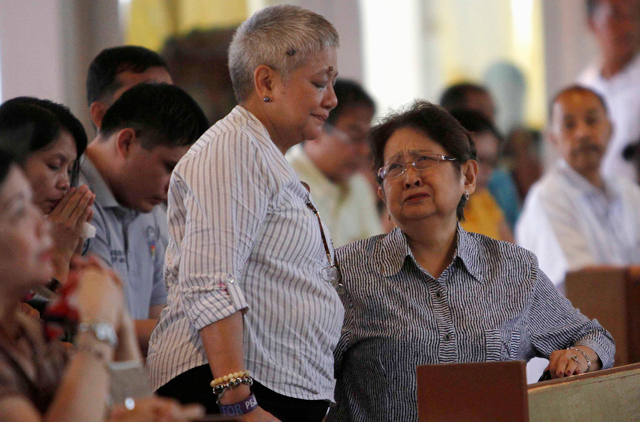 "He is a very big loss to the cabinet and to the entire nation," an emotional presidential spokeswoman, Abigail Valte, told reporters at a church in Manila where a mass for Robredo was held. Jose Fabian Cadiz, a vice mayor of a suburban Manila district and a close Robredo friend, said people in Naga were feeling a deep sense of loss. "He was a very good man and an even greater public servant. He will be very missed," Cadiz told media phone from Robredo's home, where he was comforting the politician's wife and daughters - aged 12, 18 and 24. "He walked a very straight path to governance with President Aquino, and his life and death should serve as an inspiration to everyone," vice mayor Cadiz said. Flags in all government offices flew at half mast, while the US and British governments extended sympathies to the Philippines.